The most fulfilling aspect of our jobs is the ability to transform lives. After all, that’s why we’re here! We’ve Dedicated Our Lives to Chiropractic Care Because We Know it Works! Our primary goal is to treat your subluxation and relieve nerve interference so that you can feel relief. With chiropractic care, you will be able to improve the connection between your brain and body, eventually leading to a happier, healthier you. We have seen patients go from pain to relief, tired to energetic, depressed to happy! Now it’s your turn! Chiropractic care takes pressure off your nerves, allowing you to function in the way your body should. Our comprehensive care plans will rejuvenate your body and infuse positivity in you. Isn’t that what you’ve been looking for? To feel like you again? Let us help. 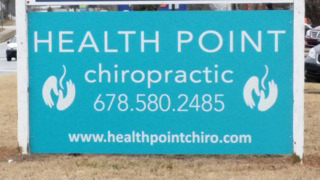 We envision helping you and your family maintain a healthy lifestyle through chiropractic care. If that’s what you want, you’re in the right place. Our mission is to understand our patients’ needs and expectations. We’ll address your issues and get you the relief and health you’ve been looking for. Our experienced, professional team is our greatest asset. Our team members are well equipped to address any health problem with ease and comfort, being your support system along the way. We work round the clock to serve you, remember our goal is getting you back to feeling great again. And it’s working! Join our countless, happy patients who have experienced relief! Contact us to get on the road to feeling better today!